It’s a been a long time along the great iceway since 1955–56! It’s a date that hangs over the Lower Parliament Street club like an albatross and everyone associated with the club must be heartily sick of the years of failure to bring the league title back to Nottingham Could this be the year? I’m not much of a judge personally only having been to a couple of games this season. The first one, the home cash against Edinburgh before Christmas was hardly representative of anything either – such a strange game it was with no real pattern and not much you could discern one way or another. Since that time I managed the game against Cardiff in the days between Christmas and New Year in which Nottingham were reasonably solid in a 5-0 blanking of the Welsh outfit. I see that leaders Coventry Blaze are now beginning to implode a little, notably losing two games against the aforementioned Edinburgh and wonder if they may crack under pressure? 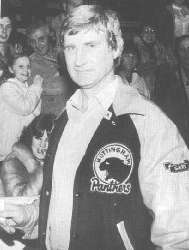 With the Panthers playing old rivals Sheffield on Saturday (which despite The Steelers poor season) is still bound to be a test, and a meeting with Coventry themselves I reckon the next couple of days might have quite a bearing on whether the modern-day Panthers are finally able to emulate those excellent players of the 1950’s – heroes all, Chick Zamick, Les Strongman and the boys. Nottingham seem to be the form team at the moment are results are rock-solid down in the city with around ten consecutive wins I believe. I have a feeling in my water. I wonder if Nottingham will put Coventry title plans on ice this weekend? In this age of mass commercialism in sport, in an era when hatred all too often raises it’s ugly head in the cause of a sporting contest I witnessed something quite remarkable this past Saturday night. I had a ticket to attend a hockey game with friends between two great UK rivals of the grand old ice game in the Nottingham Panthers and Sheffield Steelers. These confrontations at the NIC in Nottingham are always keenly contested affairs, generally in front of sell-out crowds which can produce an incredible atmosphere. That atmosphere can sometime run over into one of some animosity and antipathy between the two rival sets of fans who, on some levels, have little liking for each other. It makes for powder-keg situations and a vital, emotional and charged atmosphere. Prior to Saturday night’s face-off however and just as the usual pre-game build up complete with light show and pulsating rock music drew to a close, an announcement began by long-term Nottingham announcer, the excellent Stef. It wasn’t happy news we were to hear but that of the death of long-time Sheffield supporter Owen Grant, well known to many Nottingham as well as Sheffield fans, and also the passing away of the official Nottingham Panthers photographer, Dave Page, a man who has been around the Lace City club for many a year producing a wonderful pictorial history of the old club that he loved. Dave Page’s family were escorted onto the ice before the proceedings to hear a very moving tribute read by Stef in both men’s honour. The crowd of some 7000-plus were then invited to join in a standing ovation for the former friends of the two clubs. What followed was absolutely extraordinary. Both sets of supporters rose to their feet and gave a tumultuous and incredibly touching ovation with loud applause that lasted fully five minutes. Further to this, the Panthers skaters lined up to offer condolences and words of comfort to Dave Page’s wife and family. 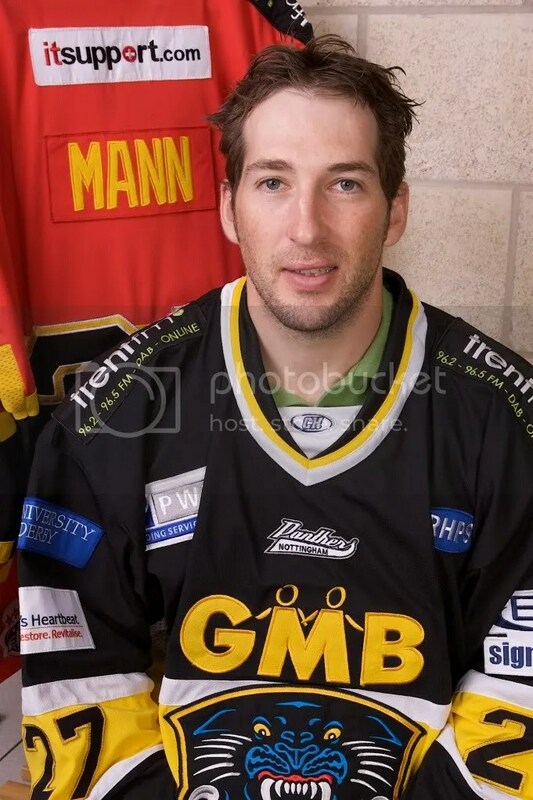 The game was played with the Nottingham team playing in their black uniform and Sheffield donning black armbands as a mark of respect for both men and their memory. After the game ended with a 4-2 score line in Nottingham’s favour, every player from both sides lined the centre circle, placed their equipment in front of them and stood and applauded both sets of supporters before they left the ice. I have never seen anything quite like these events at any sporting game I have attended, it was truly remarkable. What do we make of all this? Of course first and foremost it was a wonderful tribute to Owen and Dave. For me I sensed there was more to it than this though. It was almost as if somebody had called ‘truce’. Suddenly all the animosity was forgotten and what replaced it was a mutual sign of respect and kinship from both sides of the deep rivalry. Whatever Dave and Owen contributed towards the game of hockey (and that was a great deal) their families can also be proud that it made a few people think about what is important in life, the realisation that it really is ‘only a game’ and that we can all rub along together, have a great time watching our chosen sports, rib each other certainly but still remain great friends sharing an enjoyable experience. Thank you for that Dave and Owen. God take care of you and rest in peace, lads. I’ve been missing my hockey recently after my last mid-season trip to Saint John in Canada. Whilst there over Christmas and New Year I made hay with a couple of live Quebec Major Junior Hockey League games at Harbour Station watching the local Saint John Sea Dogs. This was complemented by a daily procession of televised hockey games as is the way in Canada, in particular watching the home nation’s fabulous victory in the World Juniors competition. It’s fortunate that living here in Nottingham, there are very few, if any, UK cities that are superior to follow the game. Not only does it host the oldest, most historic club in the Nottingham Panthers, it also boasts a fine ice stadium, the National Ice Centre, in which to watch the game. Arena hockey is not widespread in the UK with only a handful of teams fortunate enough to skate in them and the NIC has long been the favoured home of the Hockey Play-off Finals each Spring. It could be argued that the term ‘Hockey City GB is still Nottingham’s own. I used to be very much a regular watching the Panthers on a Saturday evening but gradually, and for various reasons, that ended. One of those reasons was that the league downgraded in quality through clubs suffering financially and the resultant strict club wage-capping. From watching superior Canadian professionals of a good standard icing for the ‘black and gold’ on game night, more reliance was put on cheaper, often locally -bred options. There’s a fair argument that this was/is a preferable, more manageable state of affairs but that’s perhaps a debate for another occasion.